Police identified the suspect as Dexter Topps, 49. Topps was jailed on charges including second- and third-degree assault, and second- and third-degree misconduct involving weapons. 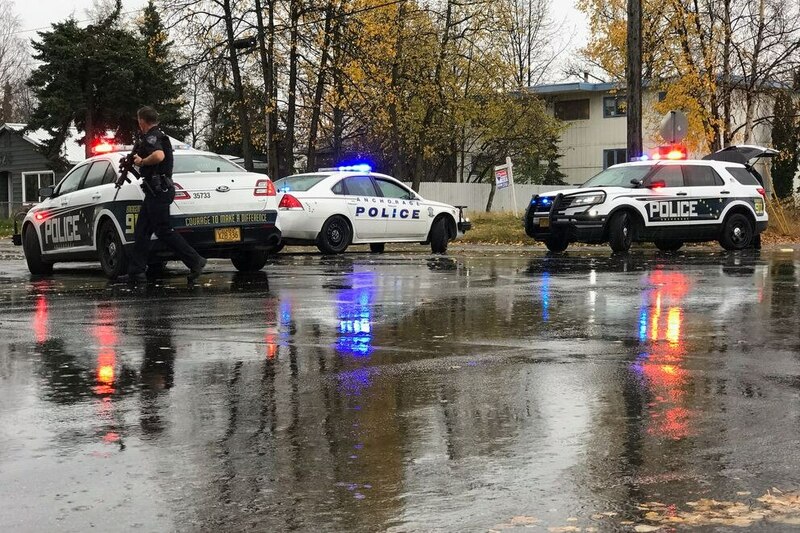 A shooting reported around 2:30 p.m. Wednesday sent a man to the hospital and closed part of a busy Anchorage street as a large team of police in tactical gear surrounded a residential building into which another man had fled. 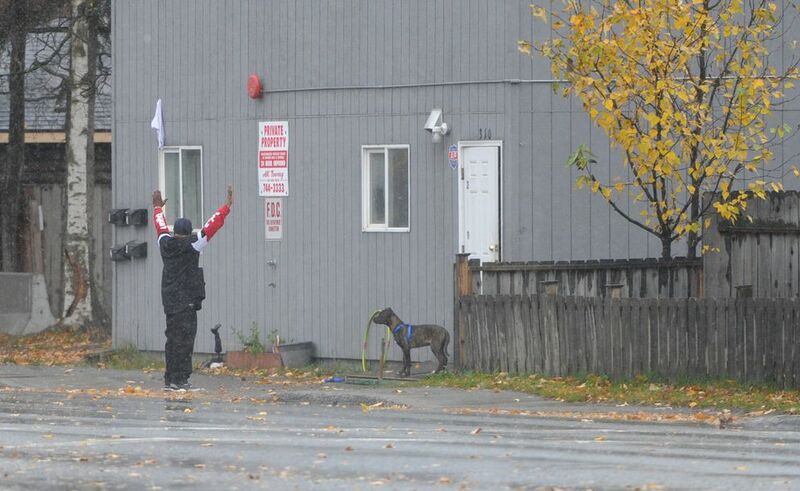 The victim's wound was described as not life-threatening, according to a bulletin from the Anchorage Police Department statement. A suspect was arrested about 4:15 p.m. after exiting the building at the commands of police. He had walked backward across Ingra Street, near 13th Avenue, hands behind his head as ordered, as more than eight officers trained their guns on him. Police spokeswoman Kendra Doshier said Wednesday she did not immediately have the names of the suspect and victim. The shooting led police to close off Ingra around East 13th and 15th avenues during a downpour, diverting traffic headed north off the Seward Highway as the busy evening rush hour approached. Witness Nathan Scriven said he was driving in the area when he saw two men shooting at each other and heard about three gunshots. He saw one man on the ground get up and run to a yellow SUV. Scriven said he followed that vehicle as it took the man to the Alaska Native Medical Center. Scriven returned to the scene of the shooting, near his home, watching as more than a dozen police with black helmets and guns drawn surrounded a gray, two-story multi-unit building. Shortly after 3:15 p.m., officers spoke through a bullhorn, demanding the suspect come out of the building through the front door with empty, raised hands. "You could get hurt and we do not want that," a voice said. "We have lethal force." The suspect, wearing a black hat and dark clothing, came out through the door with hands in the air, with a puppy at his side. 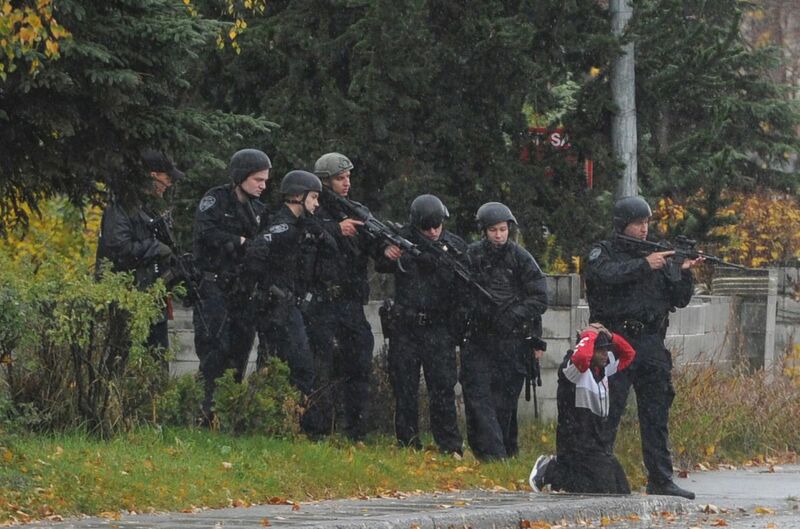 The suspect, after walking backward slowly to police, knelt on the ground before officers to be arrested. A sobbing woman, leaning against the church across the street, said she was the suspect's girlfriend. The woman would not give her name, but said she lives in the building with the man. Charges were also not immediately available, Doshier said.